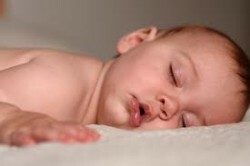 Keeping Your Children Rested and Joyous! Every year, in January and February there seems to be an influx of parents trying not to pull their hair out because sleep routines and habits in their homes went out the window over the holidays. Here are a few ways to prevent yours from being one of those families! Make sure going into the holiday season that you have already established a good nightly routine; this will make it much easier to maintain that structure as you come upon the holidays and the events that undoubtedly take you a little off schedule. Having a solid routine and structure in place, makes a slight shift in timing much less noticeable. So, as long as you follow your routines, bedtime at 8:30pm instead of your normal 7:30pm won’t be as much of a game changer as it would if you skip parts of your routine. Try to keep to a one hour rule, so that bedtime is never more than an hour later than normal. Keep change minimal. Prioritize your most important outings or special events rather than having free-for-all change with regard to being in bed at time. Ask yourself which events/parties, etc. are worth it. A sleep deficit in a child can take much longer than you might think to make up for, and it’s generally an altogether unpleasant time getting things back to good. Once or twice a week where you let your little one stay up later or skip nap shouldn’t throw things too far off course, as long as he or she gets the rest they need the following days. It’s wise not to have both a missed nap AND a late bedtime in the same day, as this can cause sleep disturbances at night and now, a previously excellent sleeper has created a habit of waking in the night again. That’s a slippery slope. Another thing to note, that falls under the keeping change minimal idea, is to refrain from two off-schedule days/nights in a row, as this too takes a huge toll and can make for some challenging behaviours that don’t jive well with the joyous holiday spirit. Don’t lose ground if your baby or child has a history (especially recent) of sleep related difficulties and you have just sorted them out, or are in the process of doing so. There’s a good chance that all that hard work and effort into getting them sleeping well, will go straight up the holiday chimney! Newly established healthy sleep habits are precarious and regression is more prevalent in those first 6 months, after establishing changes and healthy sleep habits in a previously not-well-rested child. They will feel the effects of inconsistencies much more quickly than a child who has long ingrained healthy sleep habits. Know your child. Some children are much more adaptable than others and feel change in routine less acutely, whereas others can have a complete change in personality after a late night. If your child is one of the latter, stick to your gut instinct and get them to bed on time or as close to on time as possible. Their emotional well being for the following day (and yours) is at stake and it’s usually more important to have pleasant days together as a family, than it is to stay up late. Routine through the day is equally important. Even when not sleep related, too many changes in routine can cause uncertainty which can manifest itself in a loss of emotional security in some children. This doesn’t mean you shouldn’t participate in extra special events, just that it’s best to be sensible about frequency, length, and level of activity. Plan things (wherever possible) so that they do not interfere with nap times. A sleep deficit at the end of a long, busy day can mean a tough bedtime due to over tiredness as well as night wakings and restless sleep. The farther they get from their daily routines, the more likely you are to see some falling apart and worse, all out meltdowns. If you stay elsewhere take things from home so as to keep things as close to normal, as far as sleep goes. This can include your sleep sack, lovey, blanket, and pillow. Bedtime elsewhere should be as familiar as possible. Is my child somewhat inflexible to change, and more importantly sleep related change, rather than adaptable? Does my child have high sleep needs? If your answer to either or both, is yes, planning accordingly can alleviate undue stress for all of you. Check in with yourself as to whether it’s worth it. You might think you can handle it, but the child having the meltdowns the following day, is the one feeling the emotional (not just behavioural) upheaval the most. He or she may have a tough time coming back from those outbursts and end up feeling lost and upset all day long, until they catch up on sleep. Lastly, keep in mind that the time period after the holidays can be the toughest if you have opted to allow all routine and schedule to go by the wayside. I can assure you that it is FAR easier to keep things as close to the norm as possible, than it is to correct unhealthy sleep habits that were introduced over the holidays. It just takes some extra planning. Above all else, have a tremendously happy, safe, and loving holiday season!